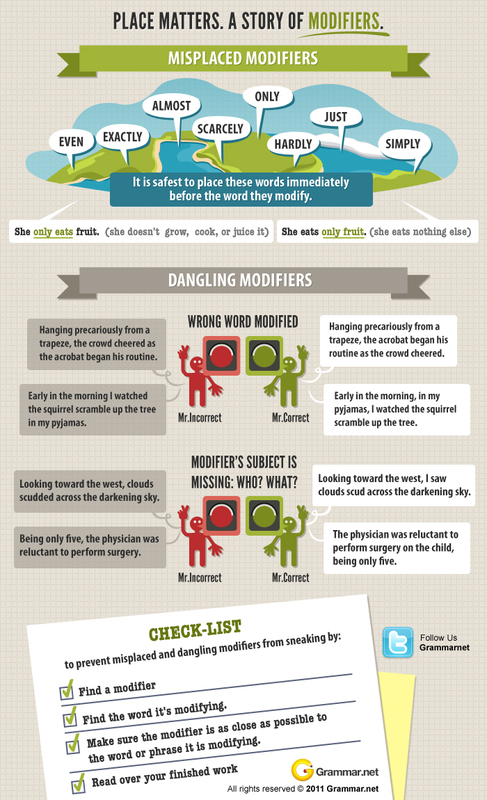 Love this infographic from Grammar.net about misplaced modifiers. A misplaced modifier is a word, phrase, or clause that is improperly separated from the word it modifies / describes. Because of the separation, sentences with this error often sound awkward, ridiculous, or confusing. To prevent misplaced and dangling modifiers from sneaking by, always read over your finished work. Find every modifier. 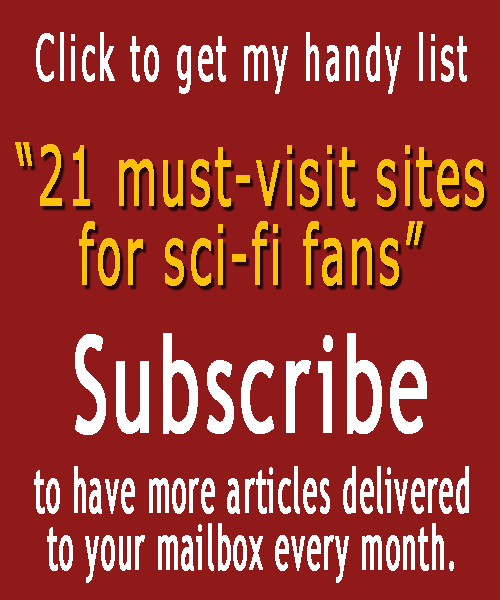 Ask, “What is it modifying?” If you can’t tell, neither can your reader. Change or add words until the meaning is clear. Then consider, “Is the modifier as close as possible to the word or phrase it is modifying?” Remember–the closer the better . . . unless your objective to is to see how many funny examples of dangling modifiers you can create. Do you have any favorite grammar battle? Do share. Source: Parallel Structure from grammar.net. ‹ A Mini Ice Age On The Way? Really?